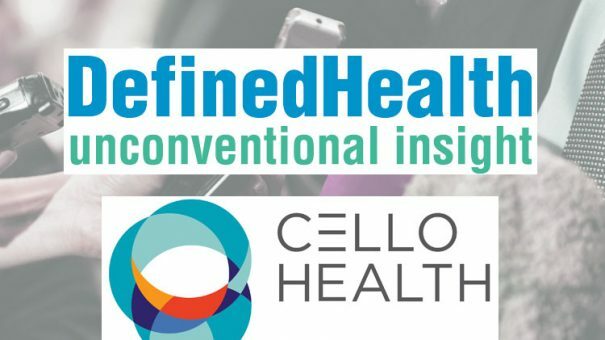 Cello Health has announced further expansion in the United States with the acquisition of New Jersey-based company Defined Healthcare Research Inc. (‘Defined Health’). Defined Health, founded in 1983, is a leading business development strategy firm servicing life sciences firms with a particular focus in biotech. The company helps clients build and strengthen portfolios and platforms with services focused on defining value for early stage compounds. The firm’s thought leadership is recognized across many cutting edge therapeutic areas as further evidenced by their annual Cancer Progress conference, now in its 27th year, and their Therapeutic Insight conferences. Defined Health will work closely with Cello Health’s consulting capability Cello Health Consulting, especially in early asset development and commercialization, while providing further depth to its services through Cello Health’s US capabilities in Communications and Insight, and specific Cello Health services in areas such as market access. “The acquisition of Defined Health is an excellent strategic fit as we continue our expansion in the US, strengthening our focus on early drug development and complementing our three core capabilities in Insight, Consulting and Communications,” added Julia Ralston, CEO, Cello Health US.